With a power of 62,4 kWp installed, it will supply clean energy for the PEMWE hydrogen production. 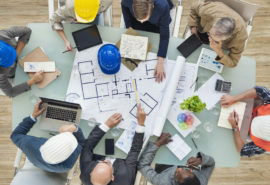 The Hydrogen Foundation, coordinator of the project Ely4Off under which this installation is included, began work on the building site annexed to its headquarters in the Technological Park Walqa last September. 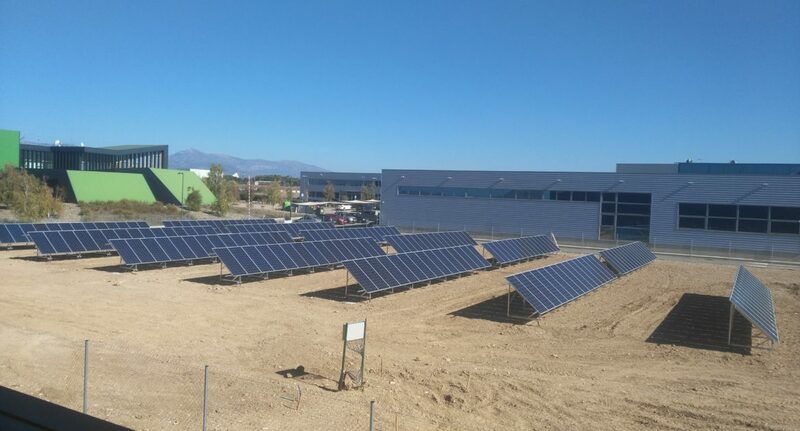 The installation consists on a photovoltaic field of 195 panels with an installed power of 62.4 kWp of clean and sustainable energy, isolated from the grid. The energy produced will be used to supply an experimental installation for the renewable hydrogen production by PEM electrolysis. 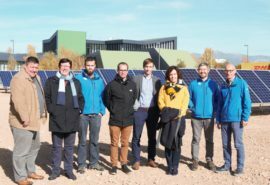 The rest of the elements within the project will be installed during the spring of 2018, anticipating to start the demonstrative period in july. This is the first stage in the construction of the system proposed in the project. Its current status off grid and without any load, will allow the Epic Power team to test their MPPT converters before the arrival of the electrolyser, so that they can optimize their operation and correct errors. These converters are specially design for a quick and dynamic response to solar variability and electrolyser requirements. Similarly, Aragon Hydrogen Foundation will soon install the Hybrid Storage System (HSS) in the coming months. 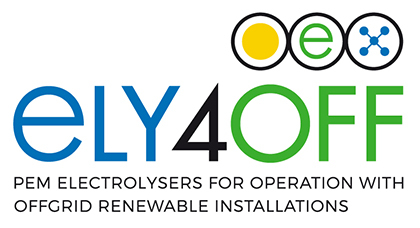 This is a key installation, since it will be in charge of ensuring the continuous operation of the Ely4Off system, by supplying energy to the Overarching Control and Communications System and maintaining the correct temperature in the Electrolyser. 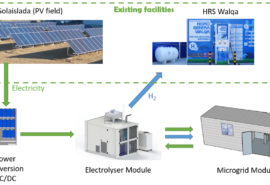 The HSS consists on batteries, which will supply energy during daily operation in case there are clouds or radiation shortage, and a fuel cell, which will guarantee the operation for up to five days without solar radiation. 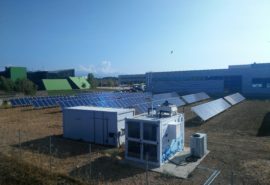 The Electrolyser and the HSS will be located between the photovoltaic field and the FHA building. 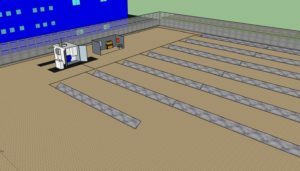 This will reduce the current losses in cables and will favour the supply of hydrogen from the stack to the hydrogen storage tanks (located in the FHA building).